It is Saturday afternoon and we are in front of the Rozhen Monastery. We have just eaten our lunch in Melnik and are now enjoying the warm October sun. This area is very close to our hearts and we often come here. It has been a long time since my last visit here. 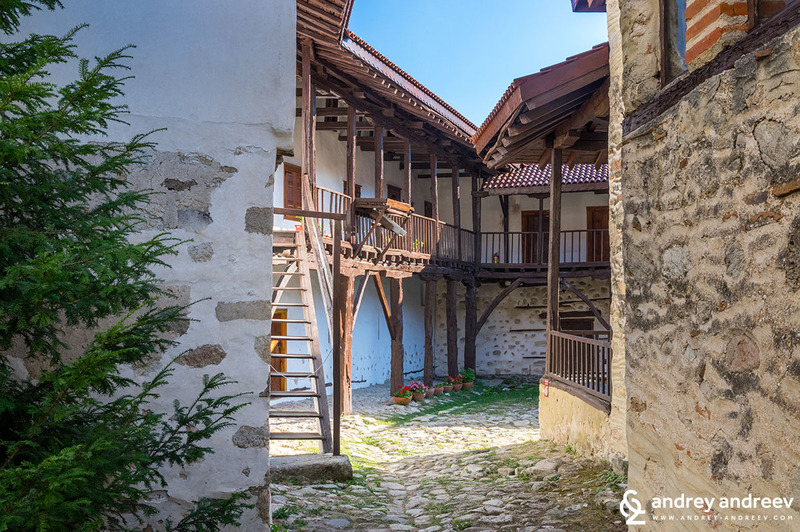 The monastery was preserved during the Ottoman rule and today keeps the history of centuries back. At the times it was built (after XIII century) there was no road reaching the monastery. Instead, one could go up there climbing steep paths from the town of Melnik. Despite I had not come here for a long time, I felt like I was here just yesterday. Nothing has changed and everything is still so beautiful and peaceful. The huge fig trees behind the church are still there and you can feel their nice scent. The vine is also there, spreading above the whole complex. In the Rozhen monastery you will find no food for the stomach but plenty of food for the soul. One of the most impressive things is the miraculous icon of Virgin Mary which is believed to cure the sick. It is a copy of another miraculous icon found in the sea near Mount Athos more than 1000 years ago. Thousands of people visit the monastery every year to pray in front of the icon. On national holidays and weekends the monastery is crowded with tourists brought there by buses. 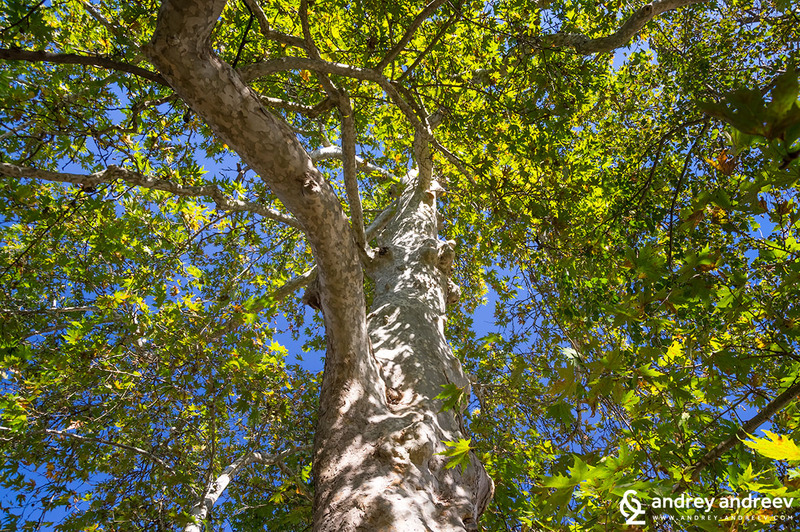 We advise to try to skip these periods and come to enjoy the place in calmer times. 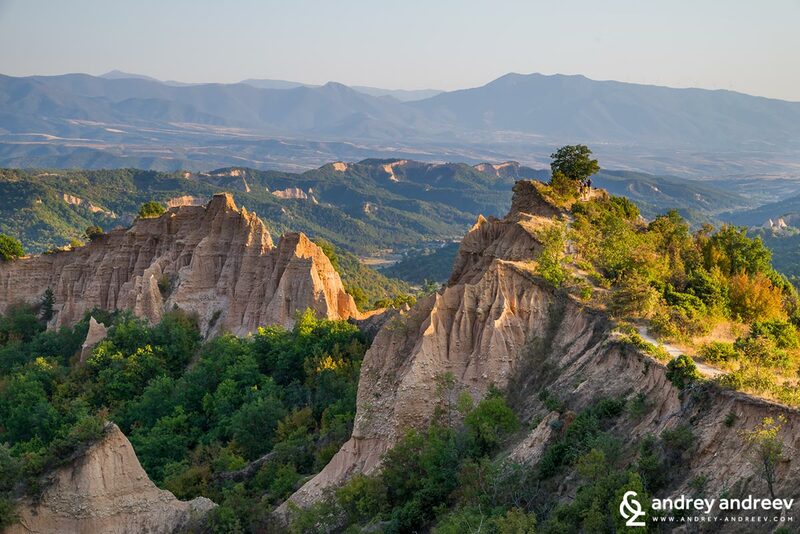 It is hard to describe the Melnik Pyramids to someone who has never seen them. 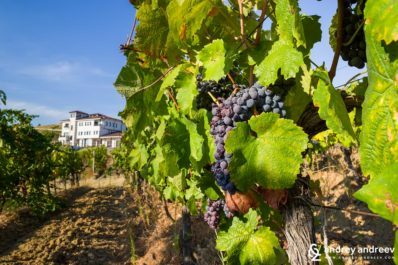 Melnik Is the smallest town in Bulgaria and it is famous mostly with the beautiful nature around it and the good wines being produced in this area. 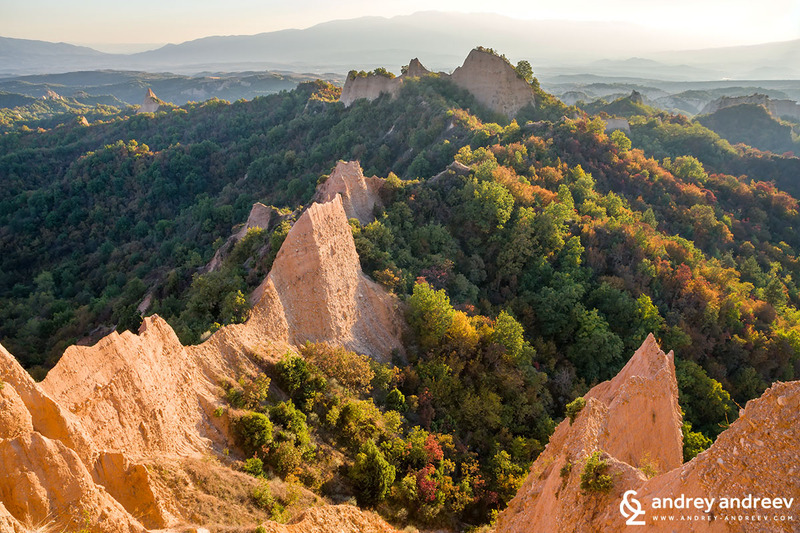 The Melnik Pyramids are unique natural phenomenon – sand pyramids formed by the soil erosion. They are up to 100m high and they are constantly changing. 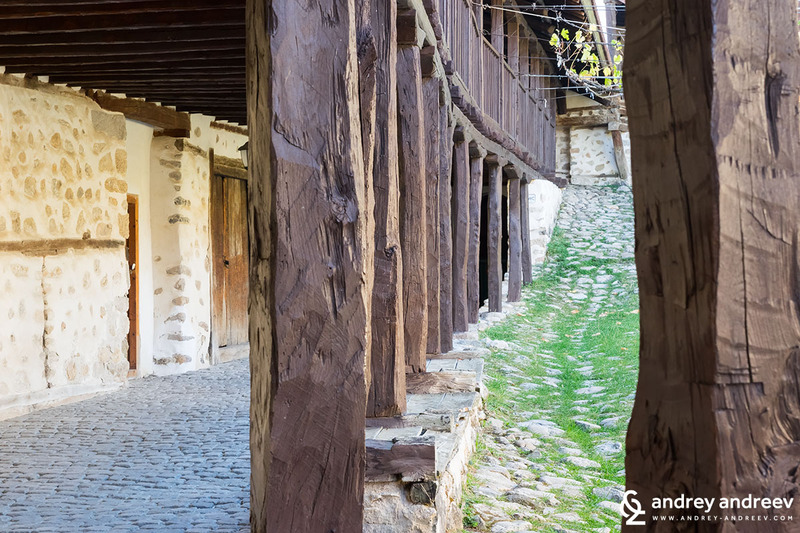 Only 25 people are registered residents in the town of Melnik – the smallest town in Bulgaria. 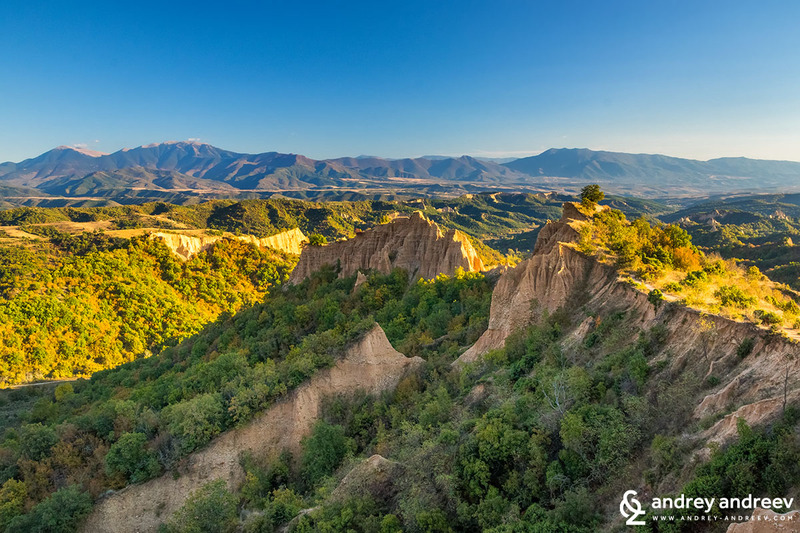 Such natural phenomena are rare but there are some others places like this across Bulgaria. 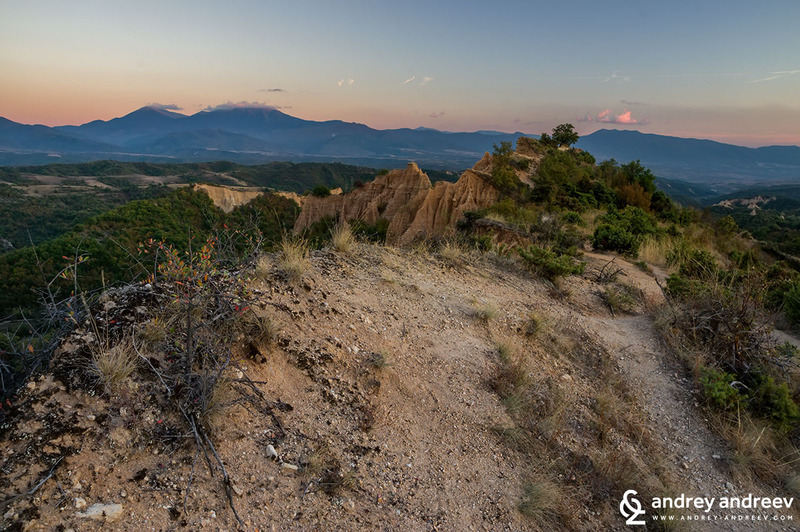 One of the most impressive ones is near Stob village (on the road to Rila monastery) – the Stob pyramids. A well-maintained path going from Rozhen to Melnik offers a unique experience, if you have the time and power to walk it. It begins near the Rozhen Monastery, from an old dirt road. You cannot miss it because there are many signs. It is going by steep slopes, just above the pyramids, offering stunning views. This is one of the many times when being there is far more beautiful than seeing it on photos. The path from Rozhen village to Melnik is about 5-6 km long. In the part around Melnik it goes by the bed of a dried river. It takes about 1.5 – 3 hours in one direction. 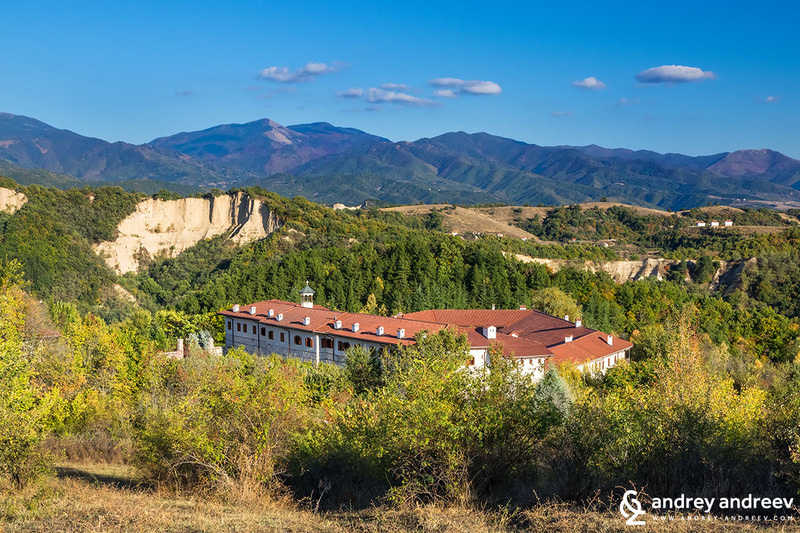 The most beautiful part is the panoramic area nearby the monastery. 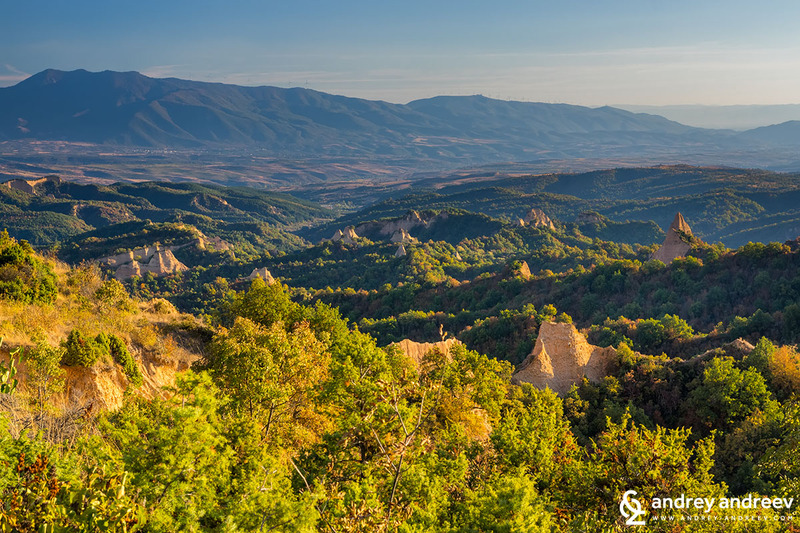 If you have parked your car by the monastery, you can take the 40-minute walk to the amazing views and go back, without walking the whole path to Melnik. 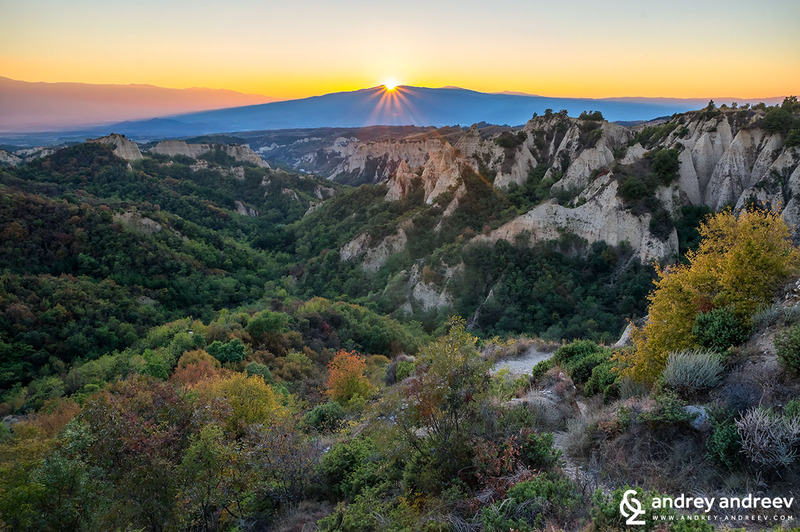 Sunset over Melnik pyramids. My goal is to catch the sunset up there on the rocks and say goodbye to the outgoing day in calmness and quietness. In October there is little sign on autumn in this area. There is still plenty of greenery and only the strong wind reminded us that the summer is over. Just before the sun goes down behind the peaks – this is my favorite time there. The colorful sky and the quietness fill me with calmness. The sun is now gone and our walk is almost over. We head back to the Rozhen Monastery and then to our hotel in the nearby village of Rozhen. A few tips about the views to the pyramids. I have two favourite places to observe them. 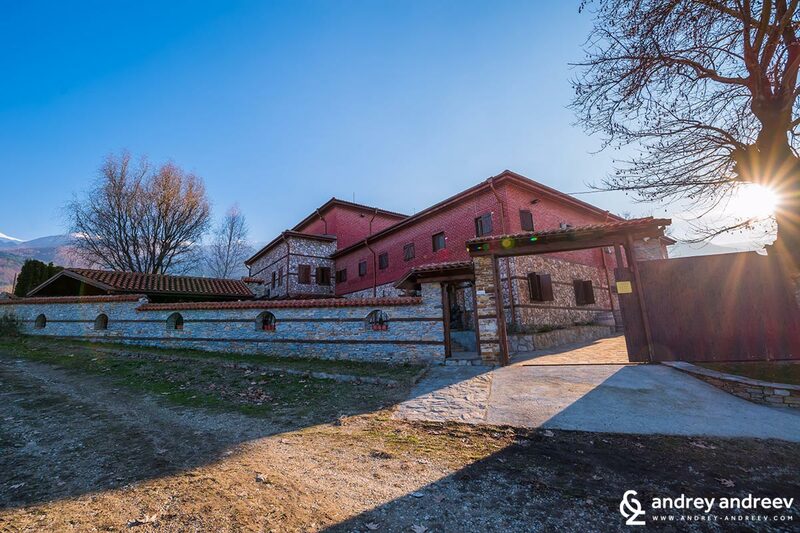 One is at the St. Nikola plateau above Melnik, just near the ruins of the former monastery “Holy mother of God”. The other one is at the beginning of the eco trail near Rozhen monastery. 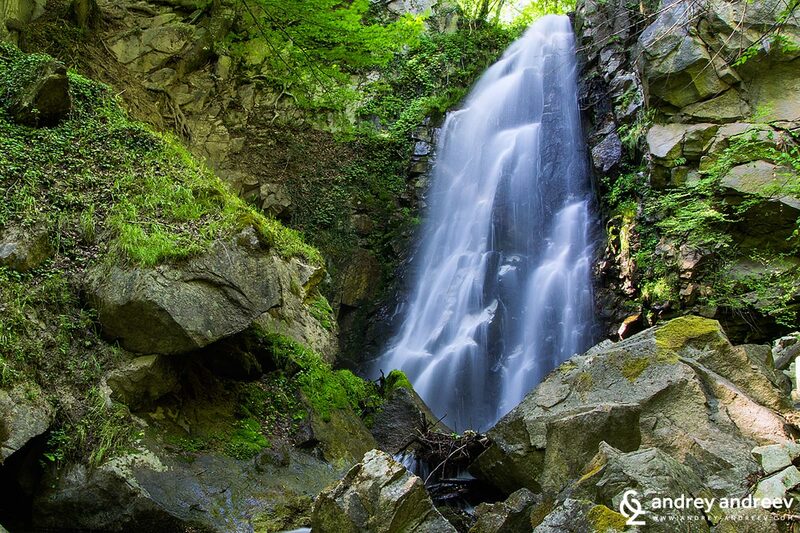 The small village of Rozhen bears its name from the nearby monastery which was once called “Rozhna”. A hundred of years ago its population was around 200. Today it has only around 12 inhabitants. Almost all of the houses in the village are guest houses and hotels. 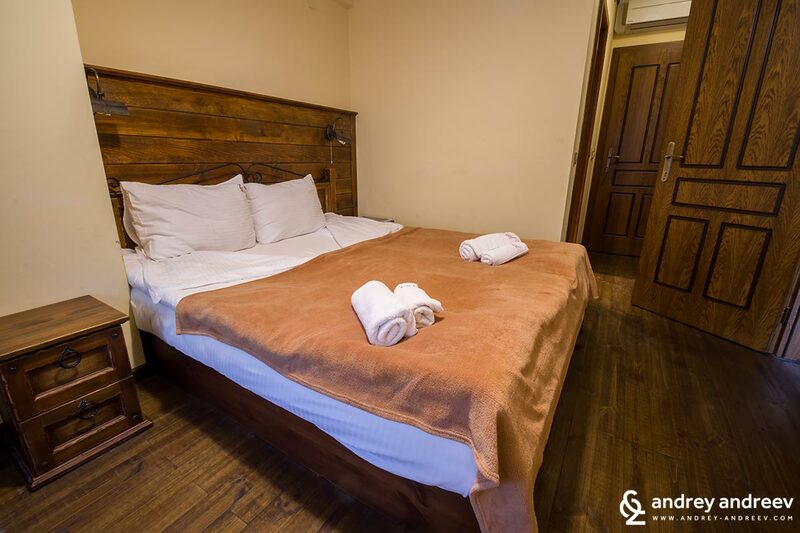 We love staying here, enjoy the clean air and listen to the sounds of nature, including being waked up by a flock of horses. In Rozhen there are two paces where we love to stay. It might sound like an advertisement but we would happily put them into the list of hotels with a great price where we would return to. 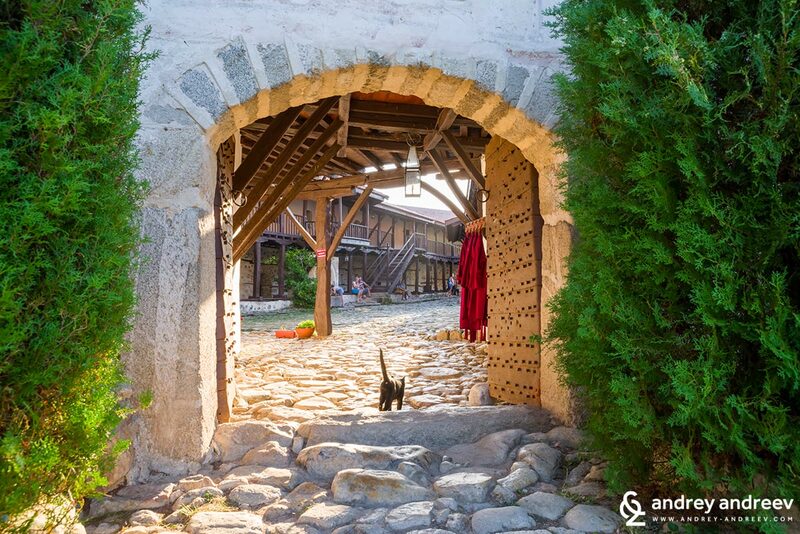 Near Rozhen village is situated one of my favourite attractions – a tunnel leading to the nearby Lubovishte village. It was dug by the local people without any machinery at all. 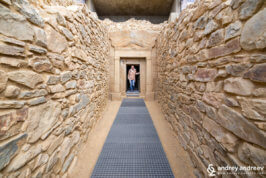 For years they had been asking the authorities to dig a tunnel through the sand pyramid separating the two villages. However, their requests were left unanswered and the people decided to dig it by themselves. It took them almost a year to complete it without any machinery. 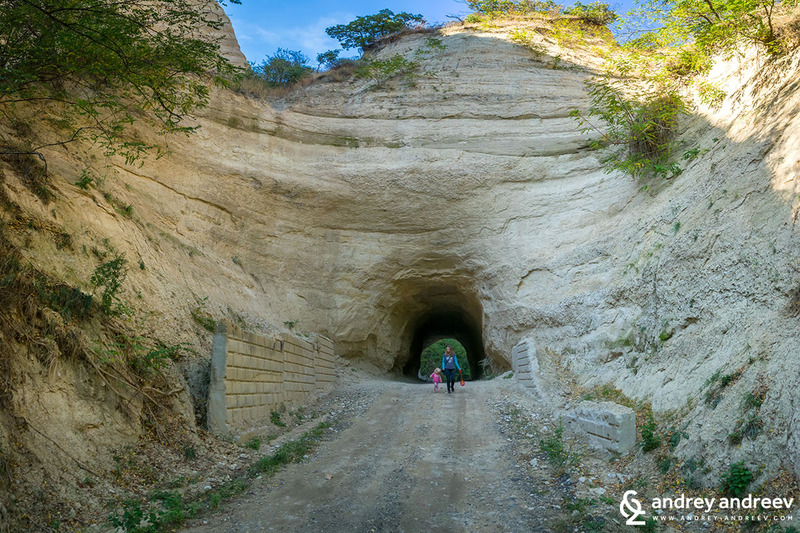 We first heard of this tunnel a few years ago on our way to Skoko waterfall, near Kashina village. It is relatively close to Rozhen but it is not easily accessible by any car. 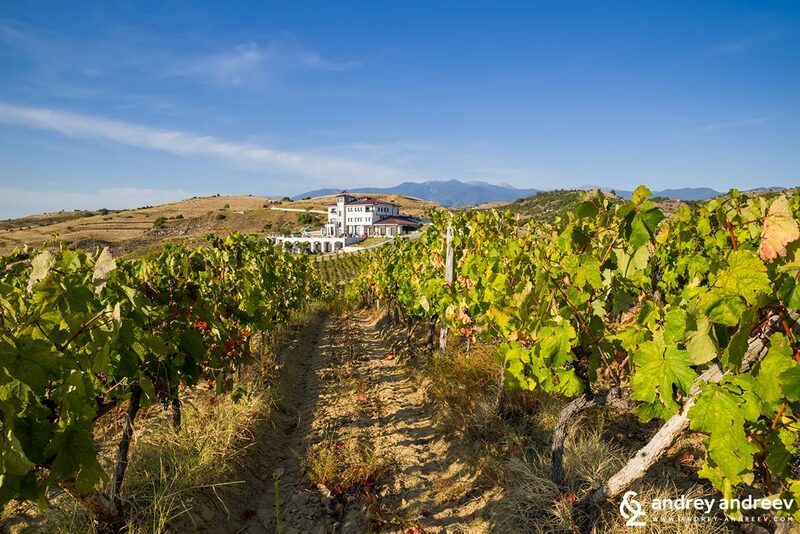 The southwesternmost area of Bulgaria is a popular place not only for nature and wine lovers but for religious tourism too. Besides the Rozhen monastery, there are two highly visited places. 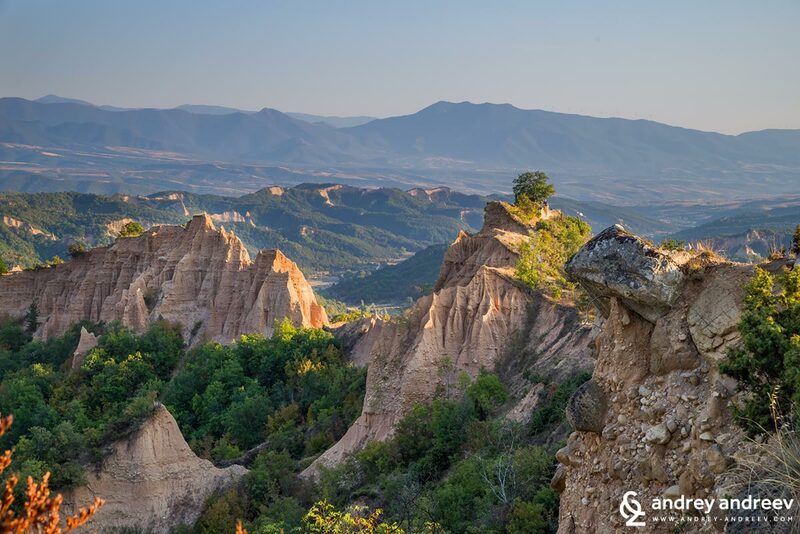 One of them is the Rupite area, where the famous Bulgarian clairvoyant Vanga used to live until her death in 1996. She is highly respected not only in Bulgaria but abroad too, most notably in Russia. Before Vanga, another clairvoyant was living nearby – Prepodobna Stoyna. 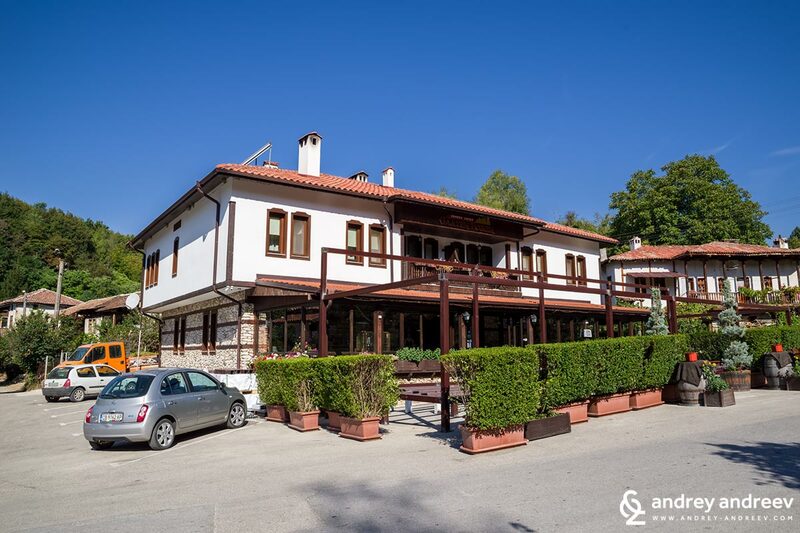 She used to live in the St. Georgi church in the village of Zlatolist in early 20th century. Local people say that she was not only capable of seeing the future, but she could heal as well. 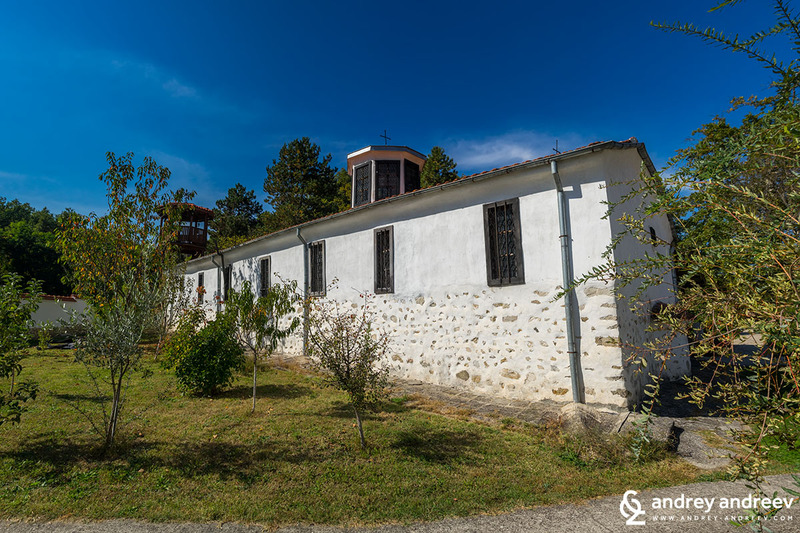 Today the church where Prepodobna Stoyna lived is a popular attraction among believers. Thousands of people come here yearly to pray on her grave and see the room where she used to live. The small room is located on the second floor of the church. On the first floor of the church there is a stone that is believed to have healing powers. Google Maps link to the church. 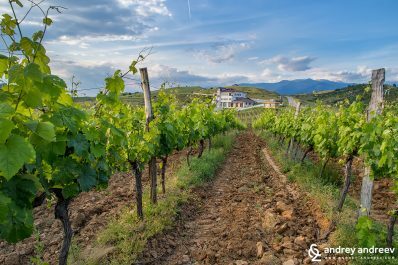 The area around Melnik is known as a wonderful terroir for winegrowing and winemaking. The sandy soils and warm climate really contribute to this. During our first trip in the area, on the way back from Zlatolist village, we got a bit lost and found ourselves in front of a huge barrel on a hill. 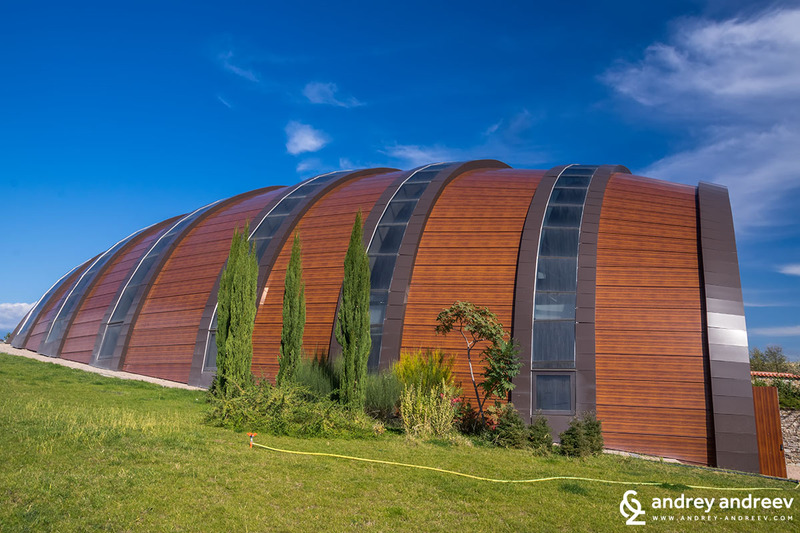 It looked as a nice architecture for a winery. 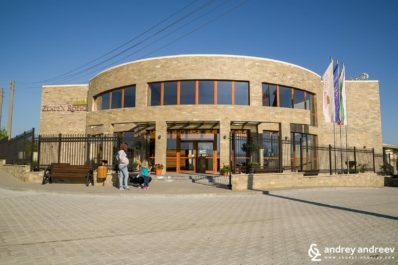 This is the building of Orbelus wine cellar which we did not know until then. It is relatively new – the barrel building was built in 2014. However, since then we have been many times to the area and have more favourite places. 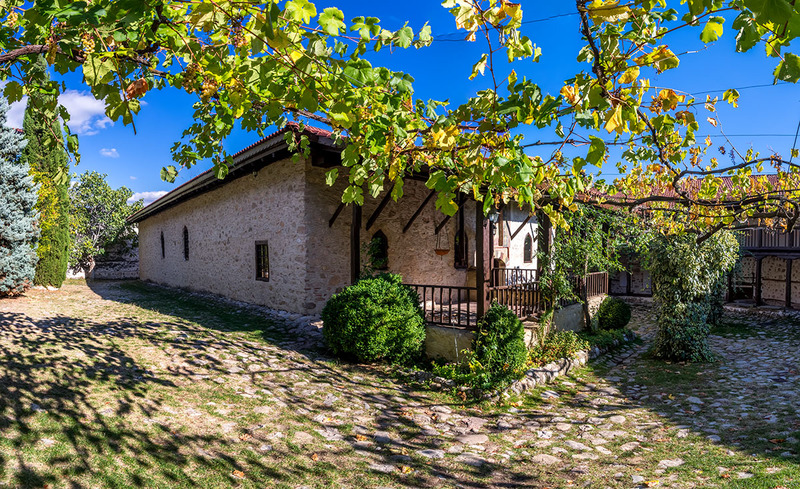 The cellar with the best view is Villa Melnik, near Harsovo village. 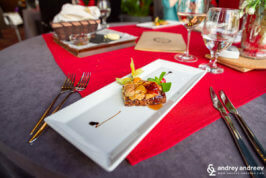 Zlaten Rozhen wine cellar and Orbelia are also among the ones we love. 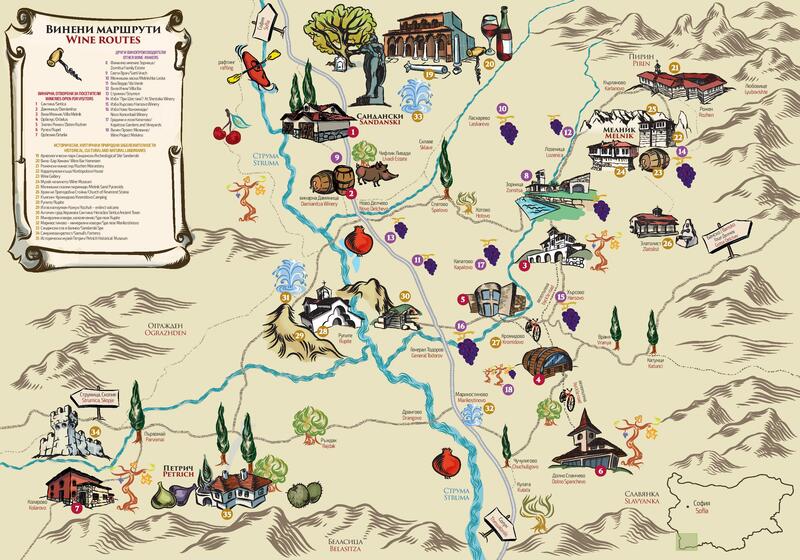 In the area there are several other wineries and whichever you decide to visit, it would be a great decision. 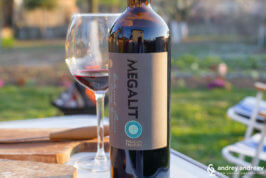 We just advise you to try to find the places where they make really quality wines, don’t trust too much the home-made wine offered on the street in Melnik and the area. The area is beautiful during all seasons but I would not recommend you to go there in the summer because it gets really hot there. In the autumn it is very beautiful, winter is also a good choice because it is not too cold. Wine is tasting better in cold seasons, too. Excellent post. 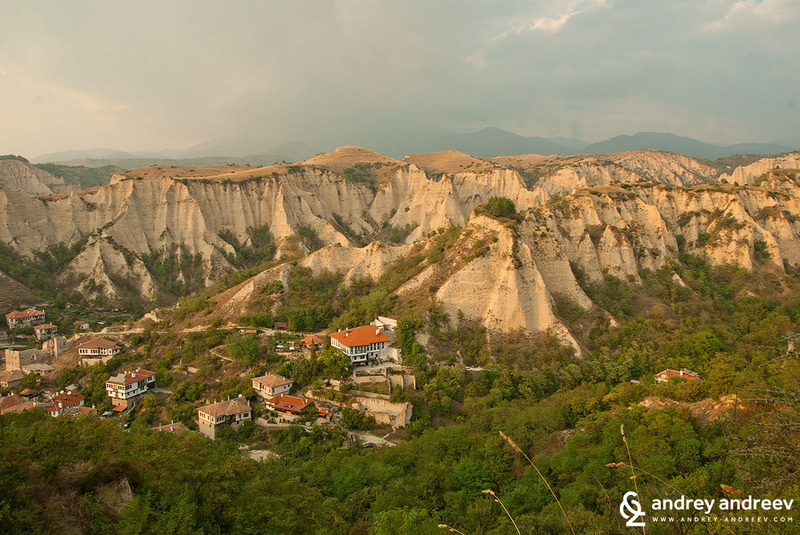 I will be travelling to Bulgaria for the first time in April and this guide has helped me with some great ideas for what to do when I visit Melnik. Thank you!